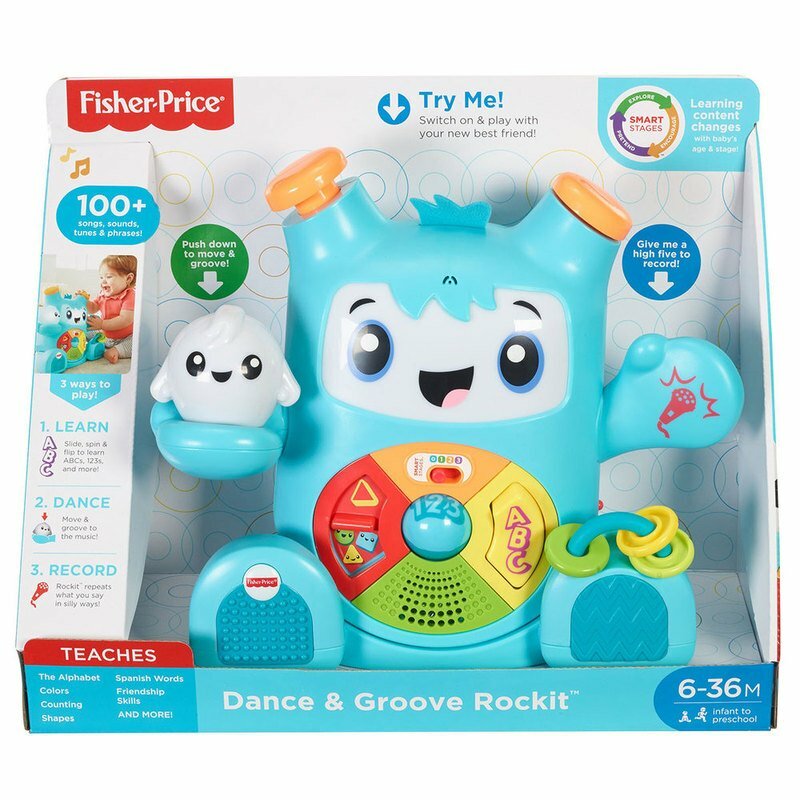 Interactive learning buddies Dance & Groove Rockit and Glow can't wait to play and learn with your baby! The adorable duo interacts with each other and your little one, offering interactive lights, music, and phrases that teach the alphabet, counting, and more. Your baby will love exploring all the hands-on play and watching these two pals interact with each other (and your kiddo!) with bright lights and cool motions. High-five! Rockit can even record what you say and repeat it back with three silly voices! Plus, with Smart Stages technology, the learning content changes as your little one grows! Rockit has a light-up face and textured hair and feet for baby to explore. Sensory: Get your baby's senses dancing with bright, colorful lights, exciting music and motion, and different textures. Curiosity & Wonder: Your toddler is introduced to cause and effect as they discover how to get Rockit and Glow moving with fun lights and sounds.